So I said last week in Part 1 that I was going to discuss Jordan Cameron and the TE position this time. 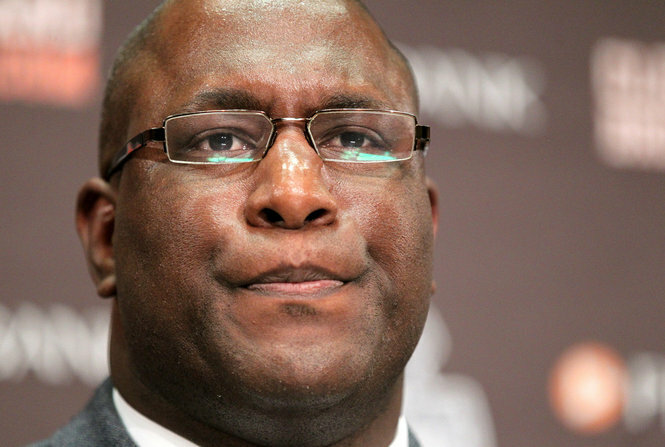 Well, we’ll get to that, but it turns out that the Cleveland Browns had a pretty tumultuous week. Let’s put football aside for a moment. I can’t really blame Gordon for all the issues he has, because it’s clear that he has a real problem and he needs real help. The disturbing part of Farmer’s statement above is that people were trying to help him and he apparently didn’t take it. Which means he has much bigger problems than simply not playing in the NFL. At this point, the Browns should simply move on. It’s best for the Browns organization to look for another impact WR and it’s best for Gordon to focus on his recovery. Hopefully, he comes out of this and gets back into the NFL, since he was such an amazing player, but let’s just hope he gets better for now. Getting back to talking about problems, looks like Johnny Football finally recognized his. Assuming this is not some sort of publicity stunt, it looks like Manziel has finally realized that being so drunk that you can’t show up to practice to receive treatment for your injured hamstring, which by the way, is your job that you’re getting paid $8.2 million over 4 years to do, is wrong. Hard to feel bad for this guy, since he appears to have borderline personality disorder in addition to being a huge jerk, but I at least applaud his realization that he needs help. 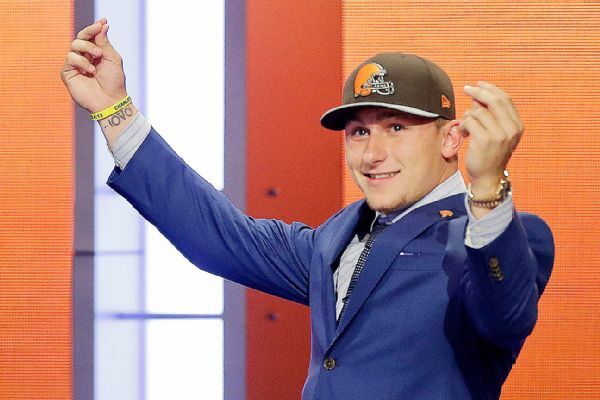 As for the Browns, there’s little incentive to cut Manziel at this point. It’s best to wait it out and hope he comes out of rehab a better, more responsible person, and that his flashes of football genius in college find their way into the NFL during next year’s training camp. 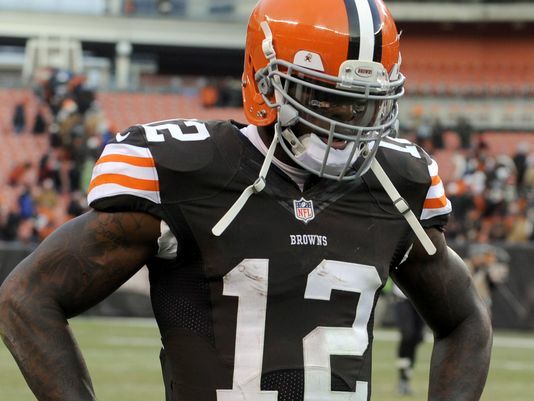 And what about the Browns’ other first round pick? 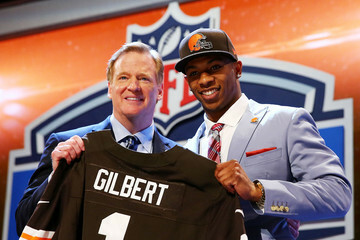 When the Browns selected Justin Gilbert 8th overall in the 2014 NFL Draft, he was supposed to be paired with Pro Bowler Joe Haden and solidify the Browns secondary. Haden is an amazing role model with his stellar play, his commitment to the game and his involvement with the Special Olympics (even being recently named the Global Ambassador for the Special Olympics), while Gilbert has, if anything, been the polar opposite. It got so bad that Gilbert was replaced by undrafted rookie K’Waun Williams for the final season game at Baltimore for not only being late but missing team activities. As a result, he was soundly criticized by his own teammates. There’s still potential here, and hopefully what’s happened to his teammates (both good and bad) hits home with Gilbert and he approaches the potential we all saw in college. 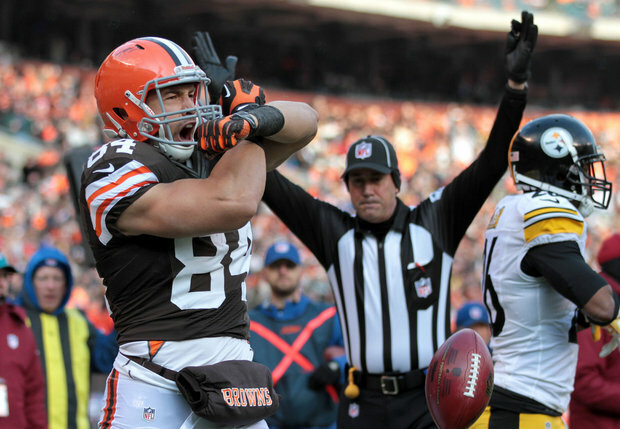 Last, but not least, the reason I was writing this in the first place, Jordan Cameron. Cameron had a down year in 2014, based on injury (he only played 10 games) and based on mostly mediocre to terrible QB play. He ended up with only 424 yards and 2 TDs, quite a drop off from 917 yards and 7 TDs in 2013. However, he made the most of his targets with an average of 17.7 yards per reception though 2014, his highest average across his four year career. Rumors are that Cameron is leaving in free agency, which makes all the sense in the world as Gronkowski has made big, fast move tight ends all the rage in the NFL, and Cameron can certainly capitalize on that. So let’s all hope that the Cleveland Browns are able to fix things like Cleveland Brown did, getting his failing show cancelled and getting back to the Family Guy, a show that was actually relevant. 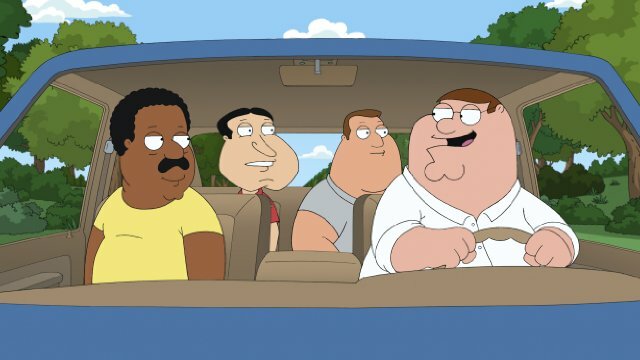 Perhaps the Cleveland Browns will be as relevant as Family Guy in the future. Yeah, I’m not holding my breath.